Charles Brooks, Jr was born on 1 April 1942 into a wealthy family, which didn’t stop him getting into trouble with the law. On 27 September 1962 he was sentenced to three years in prison for burglary at DeSoto Parish, Louisiana. He was paroled in 1963 but returned to jail in 1965. In 1968 he was sent to the United States Penitentiary, Leavenworth for three counts of illegal possession of firearms. On 14 December 1976 Brooks and two friends Marlene Smith, a prostitute, thief, and heroin addict and her boyfriend Woody Loudres took heroin, drank, then decided to go shoplifting. When their car broke down, Brooks went to a car showroom and asked to test drive a car. He went out in a car with 26-year-old mechanic David Gregory who worked at the showroom, and on the journey the car stopped and Woody Loudres got in. The two men forced David Gregory into the boot before driving to a motel. Once inside, Mr Gegrory was tied to a chair and gagged with tape. Then he was shot once in the head. It was not long before both men were arrested although neither would admit who had fired the fatal shot. Lourdes was sentenced to 40 years in prison but Brooks was given the death sentence. He was sent to Death Row on 25 April 1978 and spent 1,697 days there. On 7 December 1982, after the Supreme Court of the United States rejected by six votes to three a petition to grant a stay of execution, Brooks became the first person ever to be executed by lethal injection. His last meal was T-bone steak with fries and tomato sauce and Worcestershire sauce, biscuits, peach cobbler and iced tea. Brooks was placed on a gurney and taken to the death chamber at the Huntsville Unit in Huntsville, Texas. His final statement was a prayer to Allah, as he had converted to Islam during his time in prison: “I, at this very moment, have absolutely no fear of what may happen to this body. My fear is for Allah, God only, who has at this moment the only power to determine if I should live or die… As a devout Muslim, I am taught and believe that this material life is only for the express purpose of preparing oneself for the real life that is to come… Since becoming Muslim, I have tried to live as Allah wanted me to live.” The last words he spoke were to his girlfriend, Vanessa Sapp, who witnessed the execution, “I love you. Be strong.” At 12.09am he was injected with a deadly combination of sedatives and drugs and pronounced dead seven minutes later. 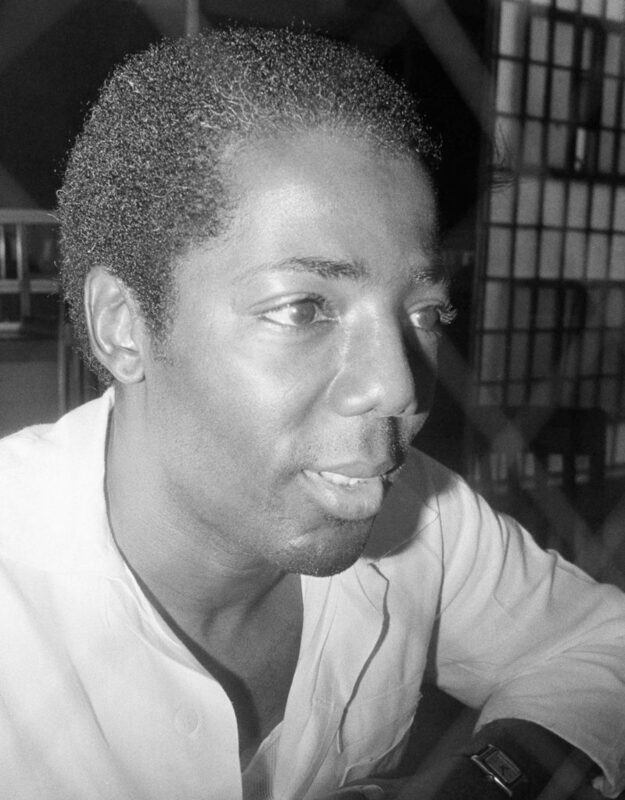 Brooks was the first person executed in Texas after the reinstatement of capital punishment in 1974 and the sixth to die in the United States.